For Your Consideration- An exceptionally well balanced, intelligent and athletic colt. If you are looking for your next barrel futurity/rodeo prospect, look no further. He has a great, willing attitude and easy to be around. He is correct, loads, hauls, stands tied, leads and enjoys his winter blanket. All vaccinations, worming and coggins are current. 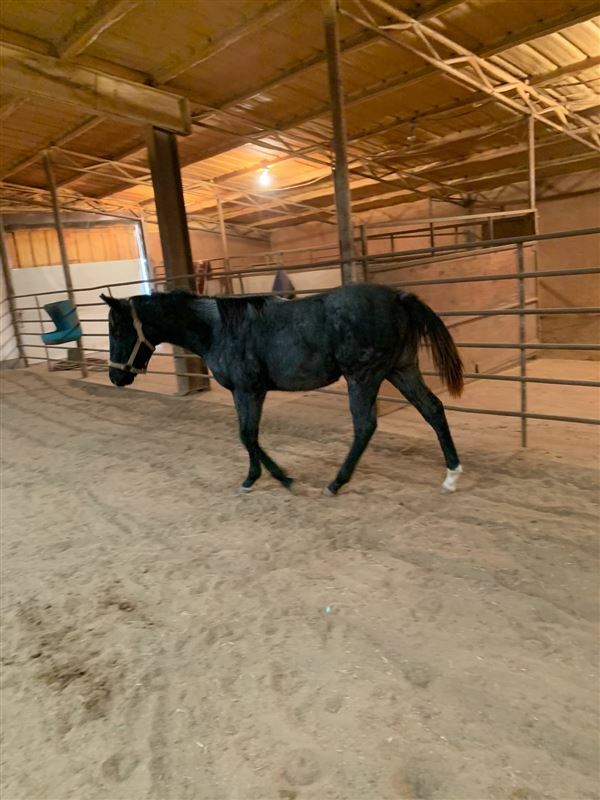 He is one gorgeous blue roan you don’t want to miss out on. Not only does this well bred colt have Dash For Cash and Bugs Alive In 75 on his papers, but he also has Streakin Six and Easy Jet just off his papers. Please contact me at 405-612-9876 for more info.